After hundreds of years as a Tibetan superstar, the goji berry is being rediscovered on this side of the Atlantic Ocean. Tasting like the lovechild of a raisin and a dried cranberry, the Tibetan goji berry – a member of the same plant as tomatoes and potatoes — boasts a wealth of antioxidants and nutrients. 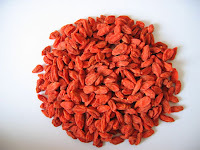 Make sure you buy shade-dried goji berries. The sun-dried variety, while still healthy, offers a lower amount of nutrients. Apart from containing several carotenoids (the same antioxidants found in carrots and winter squash), recent studies in Japan concluded that goji berries contain antioxidants that help inhibit the division of cancer cells. Additionally, a 1994 study published in the Chinese Journal of Oncology found that the addition of goji berries to the diet of cancer patients was linked to better response to treatment. As healthy as these berries are, some goji berry extract manufacturers are overzealous in their advertising and claim consumption of this fruit is basically the equivalent to drinking a liter of water from the fountain of youth. Proponents also claim goji berries cure a variety of illnesses, which is plain old false advertising. 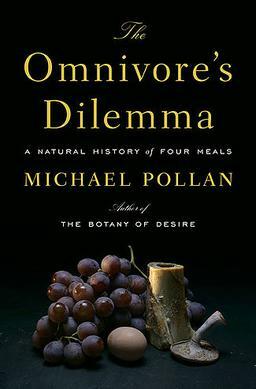 Remember that eating the actual food delivers more benefits than an extract. Since supplements are not regulated, they could potentially not contain any of what is advertised on the label. It is also worth nothing that as healthy as goji berries are, their benefits are best seen in diets already rich in whole, natural foods. Munching on a quarter cup of goji berries a day and then eating pizza, ice cream, potato chips, and soda will pretty much cancel their effect.